The turnover rate is calculated based on full transfers over the past 12 months in the area you defined. Turnover rate does not take into account any filters you may have applied. 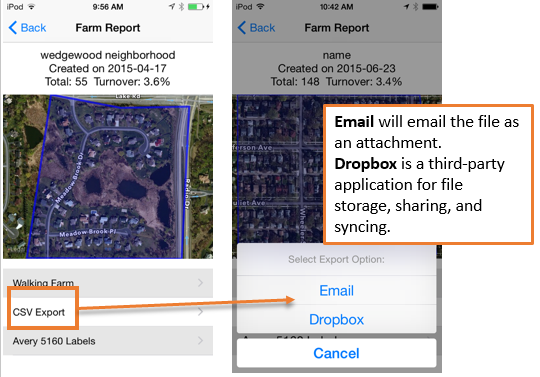 The maximum report size is 500 properties. 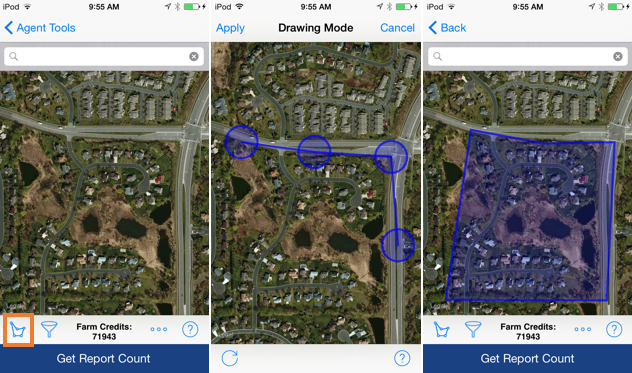 If you area contains more properties, refine using filters, or create a new shape. Selecting Get Report will use your farm credits and compile the report. If your farm is missing properties when you sort, it is possible that the line you drew missed some of the properties. 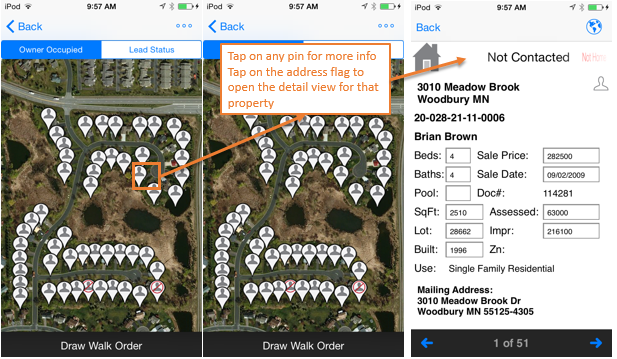 This is common when a user is trying to sort a very large farm (a hundred to several hundred properties) – the line does need to be drawn quite close to the map pins, and in a very crowded map this can be difficult to do. 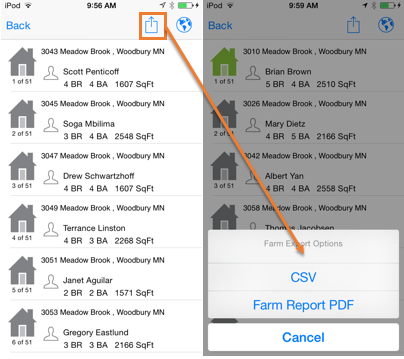 A “best use case” for Walking Farm® is to sort a list of properties you plan to walk that day. 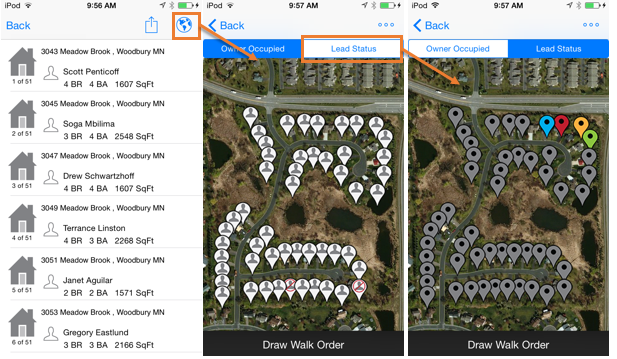 This allows you to “zoom in” on the map to a smaller area, and draw a more concise line. 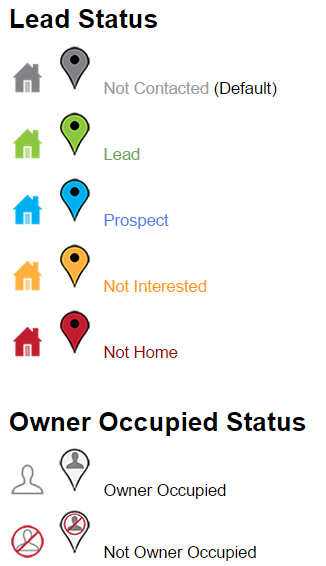 Lead Status was designed to provide a way to indicate properties you have visited, ones you may need to return back to, as well as possible leads. Mailing labels are compatible with “Avery 5160″. Look for 5160 on the package of the labels package. Labels include the Owner Name, phrase “Or Current Resident” and the owner’s mailing address. Important! This action cannot be undone.